When choosing your rainwater tank, there are a number of things to consider. The more obvious things are what water tank material you should go for, and what size water tank do you need. Most choose food-grade poly rainwater tanks due to their strength, light weight and reasonable price. 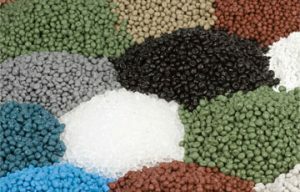 An advantage to poly tanks is that you have a wide selection of colours to choose from. The negative is that now you have to decide from the many colours available which one to get. When selecting the colour of your tank, it is important to know where you will place your tank. This will allow you to match the colour of your rainwater tank to its surrounding environment. Choosing a tank colour is mostly an aesthetic choice, but its colour can also affect the temperature and quality of rainwater stored. While polyethylene can keep heat out, darker colours like black or dark blue will heat up the water. So if you are using the water straight from the tank, or want it to be cool or room temperature, it is recommended to choose lighter colours. Most water tank manufacturers offer poly tanks in a wide variety of colours. Tanks Direct offer a selection of 32 modern tank colours to choose from. The best thing about poly tanks is that the colour is in the raw poly material itself so your water tank will look newer for longer. To conclude, if you are looking for a rainwater tank, don’t just think about size, shape, material and price, but also consider the most suitable tank colour (darker or lighter colours) for your water use. For more advice on poly tanks, feel free to speak to one of our specialists on 1800 642 055.